Is there a better alternative to PureFTPd Manager? Is PureFTPd Manager really the best app in Servers category? Will PureFTPd Manager work good on macOS 10.13.4? 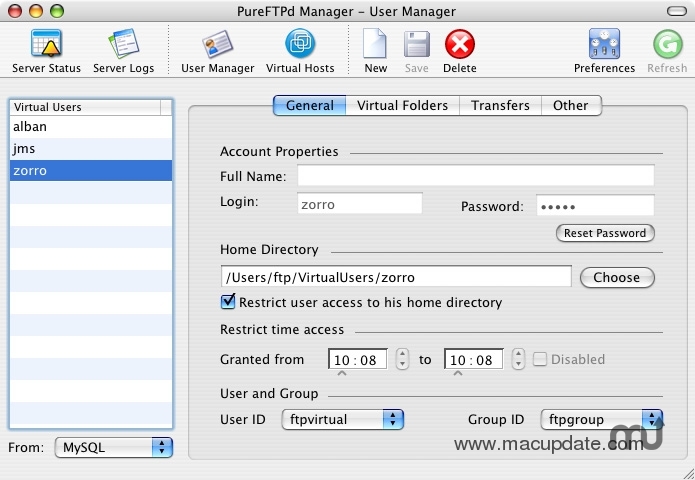 PureFTPd Manager is a Cocoa frontend to PureFTPd, "a free (BSD), secure, production-quality and standard-conformant FTP server based upon Troll-FTPd", for Mac OS X.